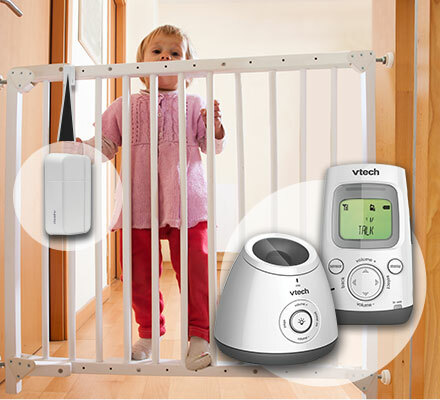 VTech Wireless Monitoring System | Smart Home? Smart Move. Tap, click and swipe your way to a smarter, connected home. 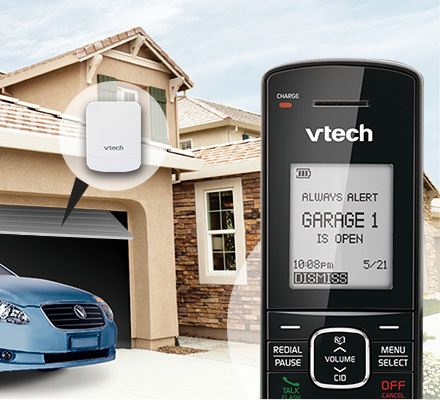 With the VTech wireless monitoring system, you'll know if your kids are home, if the garage door's wide open or if a pipe's leaking—all from an app on your smartphone or tablet. Thanks to ULE (Ultra-Low Energy) and WiFi technologies, VTech smart-home products are easy to install and use, energy efficient, extra secure, have the longest ranges and are super affordable. 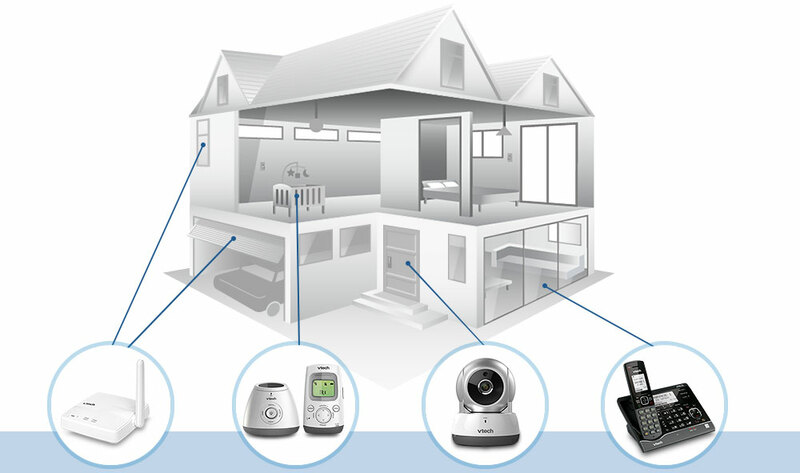 Provides Internet connectivity to VTech ULE sensors and devices, allowing you to monitor and/or control them through your VTech app wherever you are. 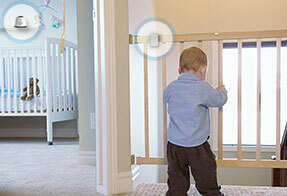 Receive alerts on your parent unit when there's activity in your child's room–from an open door or window to movement in the crib. 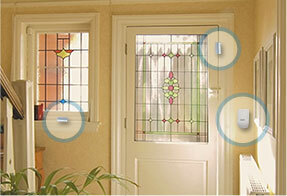 Know what your family's up to and make sure your home's secure at all hours. 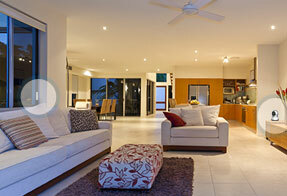 View and record high-definition video directly through an app on your smartphone or tablet. No smartphone? No problem. 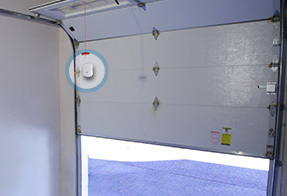 Receive voice alerts on your home phone when anything's amiss–if the garage door is open or if there's an intruder in your home.